It seems that spring brings out all kinds of characters …. 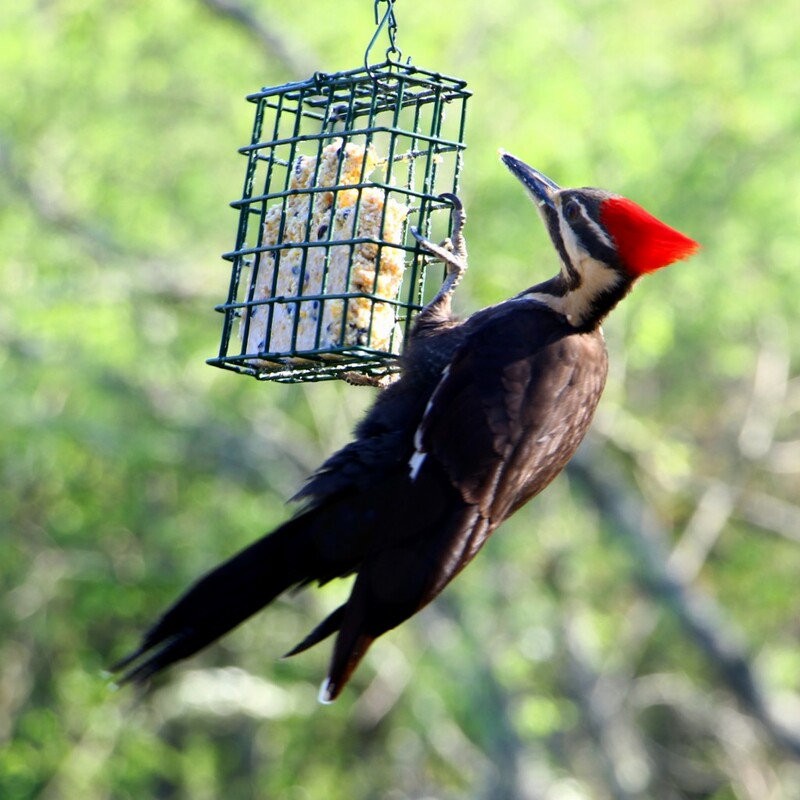 Today is the first time I’ve seen a Pileated Woodpecker this close to the house, although I’ve heard him in the nearby woods. 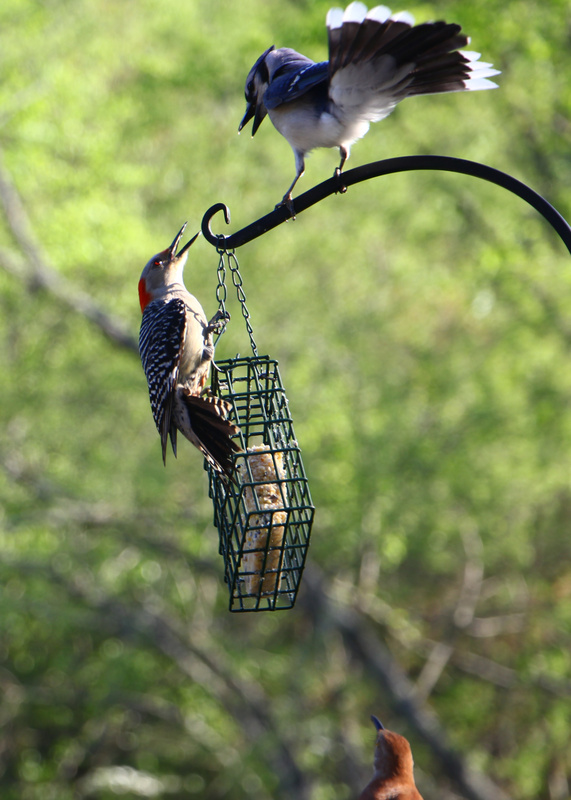 This Red Bellied Woodpecker fends off a challenge from a larger Blue Jay, while a Brown Thrasher looks on. 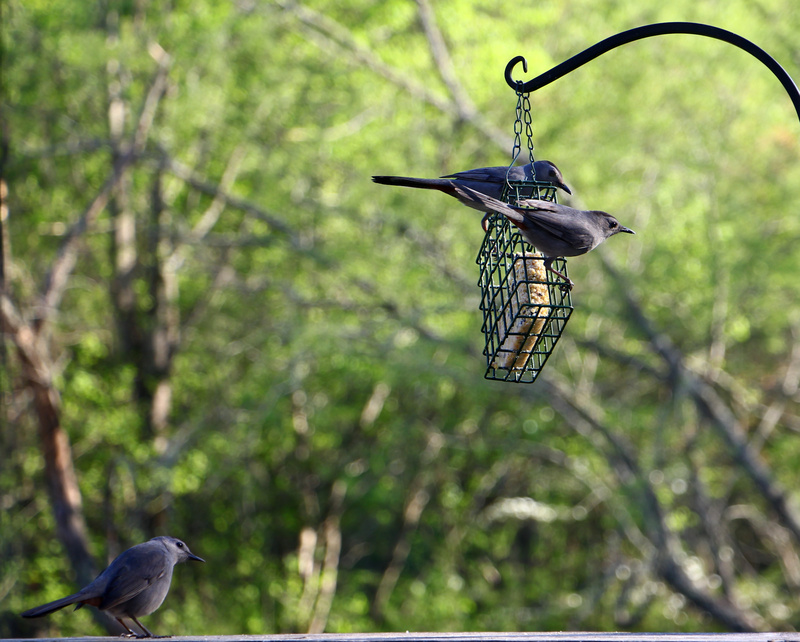 Here’s proof that Gray Catbirds can share, although you most often see them alone. Notice the rust-colored undertail coverts.